With food allergies on the increase the world over, taking allergies into account when hosting a birthday party is becoming a more frequent challenge. Whether you are the parent of a food allergic child or you are hosting a party to which an allergic child is attending, with a little bit of communication and planning, everyone should be able to enjoy the party. As a parent to a child with peanut, egg and sesame allergies (who carries adrenaline in case of emergency), birthday parties always require a bit of extra planning. Diagnosed with multiple serious allergies before her second birthday, we decided early on that our daughter should be able to participate with her siblings and friends in as many activities as possible. Over the years we have seen the full range of reactions from admitting they won’t invite her because of her allergies, to going out of their way to include her, to sometimes not realising the potential seriousness of her allergies and not checking ingredients or party bags for her allergens. Allergic children do not want to be treated differently. I understand that a potentially life threatening allergy is a big responsibility and try to make it as easy for the person hosting the party as possible. As a parent I really appreciate it when someone goes out of their way to consider her allergies and include her. I believe with good communication and planning it is possible for a fun day for all. So the following are my top tips for managing allergies at parties. Contact the person hosting the party when you get the invite so that they can take your child’s allergies into account when planning and shopping. Explain your child’s allergies whether they are food, latex, bee sting or animal allergies and that you will help wherever needed to make it easier for the host. I offer to stay or remain close by if they are worried and know parents who have sat outside the party in a car so they can be close if anything should happen. Ask what they are planning to serve, most people are very accommodating and won’t mind being asked. Depending on what suits the host I offer recipes, a list of safe foods available from the supermarket, or to bring food to the party making sure it is similar to what is being served so the child won’t feel excluded. Sometimes the food is safe but the cake may not be so I send a small bun or cupcake as an alternative. If you are providing safe food make sure your child understands not to share food or drinks with other children. Ask the host to keep the wrappers so that on the day of the party you can read ingredient labels for any food served. It’s also important to check sweets and treats that may be left out for the children and to remember that the allergy information for ‘fun size’ sweets may differ from the regular-size bars. Watch out also for guests bringing extra food to the party that has not been checked for allergens. Party bags are often handed out at the end of the party with lots of little mini sweets. When my daughter was young I offered to bring safe treats for the party bag, now that she is older, we have agreed, that she doesn’t eat anything from it until she is home and we check ingredients, swopping any unsafe treats for suitable alternatives. She is happy with that and doesn’t mind as long as she is not missing out. Sometimes allergy information may not be displayed when the sweets come from a bigger pack, so if in doubt throw it out and replace with something safe. If your child is prescribed medication such as anti-histamines, adrenaline or inhalers, discuss when and how to use them. If your child has been diagnosed with serious allergies go over the emergency action plan drawn up in consultation with your doctor discussing symptoms and appropriate action. Make sure any medicine is stored safely out of reach of little hands at the party. Trainer/dummy adrenaline pens are a great way to demonstrate the correct use of adrenaline pens and we bring ours everywhere. You can get trainer pens from your pharmacist, the manufacturer’s website or in our shop here. Be aware of triggers in face paints, art and craft materials or bird/animal feed, so check with the host for any planned party games or face painting. Make sure the person hosting the party has your contact information so if they have any questions during the party they can ring you to check them out and also in case of emergency. Also make sure that your mobile phone is fully charged so you can be contacted for any questions or in case of emergency. Teach your child not to share food or drinks. If they are not feeling well teach them to tell an adult immediately and not to go off on their own to a bathroom or bedroom. My daughter also brings a mobile phone with her to all activities and parties so she can contact me too. I hope you will find these tips useful, the aim is not to exclude the child but allow them to participate safely. 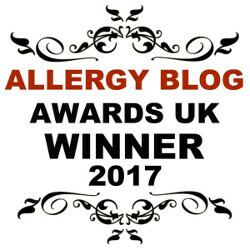 We hope you enjoy browsing Allergy Lifestyle and find our products, and information useful. All feedback is very welcome. 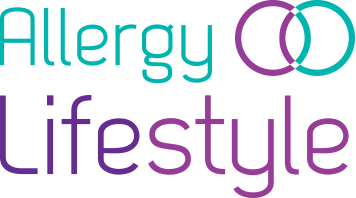 We also host an on-line community on facebook and twitter where we can share information, tips and support each other as we negotiate our way through the Allergy Lifestyle! Thanks Audrey, its hard on little ones if they feel excluded, your heart just goes out to them.